THINK ABOUT YOUR ABILITIES. What are your strengths and weaknesses as a negotiator? What are the other party's strengths and weaknesses? What are your emotional limitations? Do you expect the mediator to help you stand your ground if the other person negotiates better than you do or has more "power"? Thinking about these issues is especially important in understanding mediation and how to prepare yourself if there is a power imbalance between you and the other party. Some mediators feel they should actively equalize power imbalances, other mediators feel that they should observe the dynamics and ask the parties what they would like to do about the "apparent power" imbalance. If there has been abuse and or violence between you and the other party, please obtain more specific information about mediating when there has been domestic abuse. WRITTEN LISTS. Check local listings in the Yellow Pages. Many local mediation organizations maintain directories of member-mediators. Heartland Mediators Association provides a list of mediator members. Check out the list of Heartland Mediators Association members below. WRITTEN WORK. Some mediators will write up notes about agreements or even draft agreements for the parties. Other mediators do not prepare written agreements or contracts. If your mediator will prepare written work, you may want to review a sample. Samples could include letters, articles or promotional materials. Any sample of the mediator's written work should be clear, well organized, and use neutral language. Agreements should have detailed information about all items upon which the parties have agreed. Ask the mediator, "How has your education and experience prepared you to help us work out this specific dispute?" If the mediator had formal training, did it include role-play and observations of skilled mediators? While training and education do not guarantee competence, training is most effective when it includes practice-oriented segments such as role-play and observation. Ask "What values and goals do you emphasize in your practice?" For example, does the mediator encourage the parties to communicate directly with each other, or does he or she control the interchanges? The mediator should be able to describe his or her style of mediation and his or her role in the mediation process. Remember that different mediators may practice mediation in different ways, although some mediators feel they can change their style to suit the parties' specific needs. Ask, "Which ethical standards will you follow?" (You may ask for a copy of the standards). All mediators should be able to show or explain their ethical standards (sometimes called a code of conduct) to you. If the mediator is a lawyer or other professional, ask what parts of the professional code of ethics will apply to the mediator's services. Ask the mediator, "Do you have a prior relationship with any of the parties or their attorneys?" The mediator should reveal any prior relationship or personal bias, which would affect his or her performance and any financial interest that may affect the case. The mediator should explain the confidentiality of the process. The mediator may have a written confidentiality agreement for you and the other party to read and sign. If the court has ordered the mediation, ask the mediator whether he or she will report back to the court at the conclusion of the mediation. How much will the mediator say about what happened during mediation? How much of what you say will the mediator report to the other disputants? Does the confidentiality agreement affect what the disputants can reveal about what was said? If the parties' attorneys are not present during the mediation, will the mediator report back to them, and if so, what will the mediator say? The mediator should be able to explain these things to you. Who will arrange meeting times and locations, prepare agendas, etc.? Will the mediator prepare a written agreement or memorandum if the parties reach a resolution? What role do the parties' lawyers or therapists play in the mediation? Does the mediator work in teams or alone? Some mediators will contact the other party to the dispute to introduce the concept of mediation; other mediators will expect you to make the contact. Ask "How would you estimate costs for this case? How can we keep costs down?" Are there any other charges associated with the mediation? Does the mediator perform any pro bono (free) services or work on a sliding fee scale? If more than one mediator attends the session, must the parties pay for both? 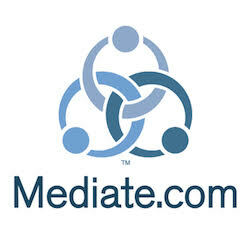 Does the mediator charge separately for mediation preparation time and the actual mediation?